Home > Events > South County Pet Expo & Dog-a-Palooza! 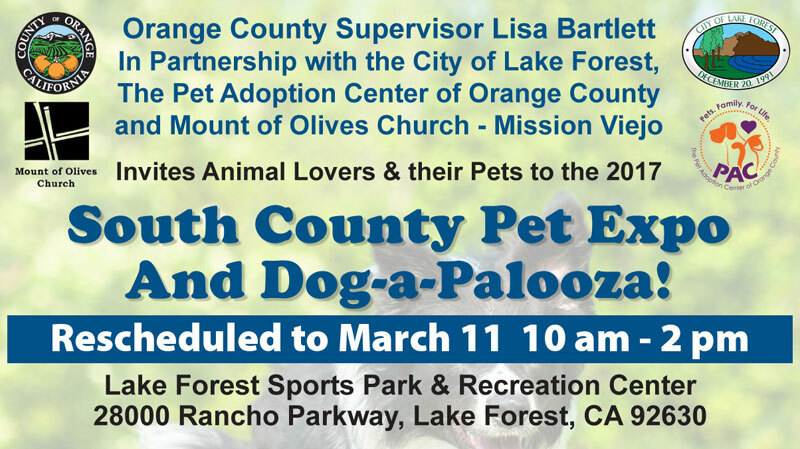 The Pet Adoption Center of Orange County invites you to support the 2017 South County Pet Expo presented by Orange County Supervisor Lisa Bartlett, in partnership with the City of Lake Forest, OC Animal Care, The Pet Adoption Center of Orange County and Mount of Olives Church-Mission Viejo. 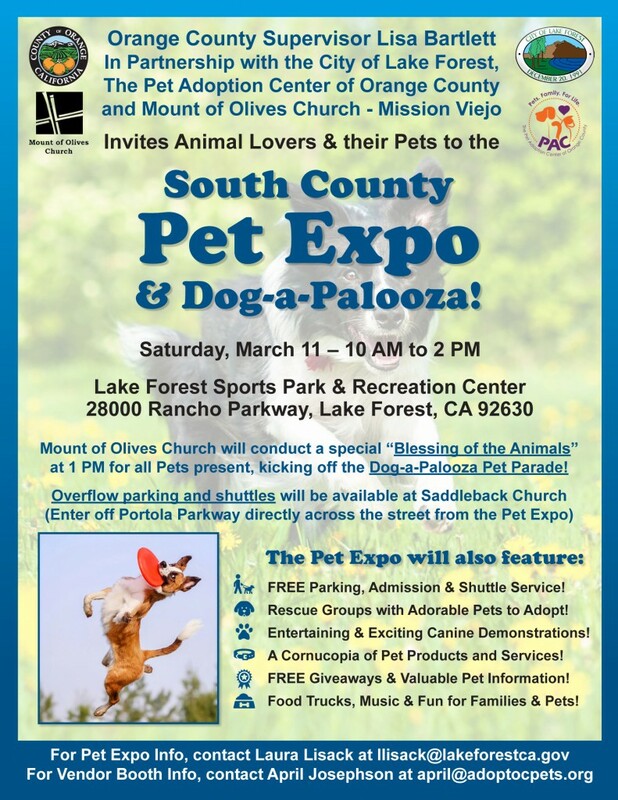 The South County Pet Expo will take place Saturday, March 11 from 10 AM to 2 PM in The Commons green belt area at Lake Forest Sports Park, 28000 Rancho Parkway, Lake Forest, CA 92630. Click here for more information on the rescheduled event.